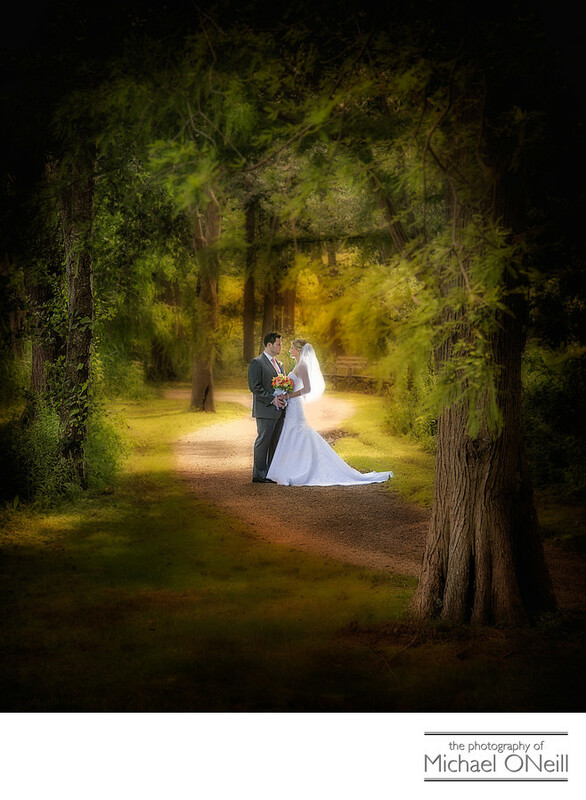 I am often asked by my bridal clients for recommendations for places to take wedding pictures. One of the places I mention on a regular basis is The Bayard Cutting Arboretum located right on Montauk Highway (Route 27A) in Oakdale, NY on Long Island. This near 700 acre venue offers a huge variety of beautiful backdrops for your wedding photography.First there is the manor house...the large former residence of William Bayard Cutting. To the rear of the manor house is a huge sprawling lawn that reaches out to the end of the Connetquot River where it flows into the Great South Bay. You can follow the river walk to the old carriage house and stop, as we did here, to take this picture.There is an amazing perennial garden designed by the renowned landscape designer, Lynden Miller. There is the Holly walk, the Garden walk, the Rhododendron walk and two Pinetum walks. Every imaginable specimen of trees and flowers are here. You could spend days wandering around this park and not see all of it. In my 30 plus years as a wedding photographer I have come to this venue more times than I could ever remember. It never gets old.The Bayard Cutting Arboretum is part of the New York State Parks and Recreation Department. You can visit the park Tuesday through Sunday year round and you can visit their web site for information on permits and site use fees for weddings.